To me, heaven on earth is exploring on a trail. 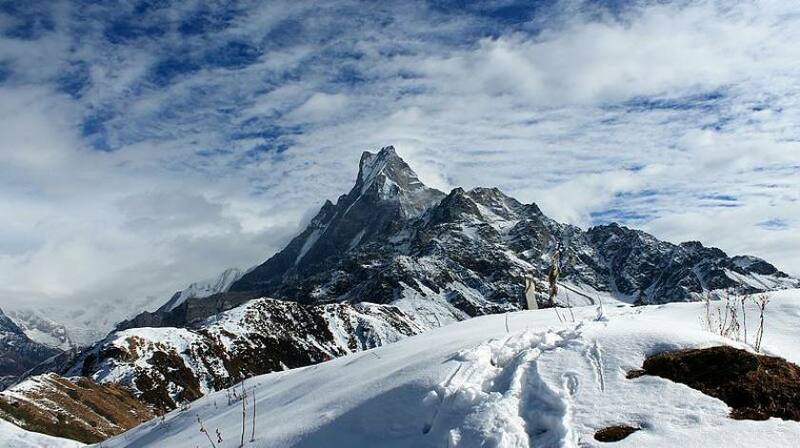 Min Altitude 1130m / 3707 ft.
Max Altitude 4300m / 14108 ft.
Mardi Himal Base Camp Trekking is a newly explored route in Annapurna region which allows capturing the grand view of majestic Annapurnas and several other peaks walking through beautiful rhododendron forest and experience of local homestay. Despite the fact that Annapurna region is getting more garnished with roadways connecting several hilly and Himalayan areas, Mardi Himal trekking route is still intact offering pleasant walk in the beautiful countryside and gaining more popularity to avoid traffic like in other popular Annapurna trails. Trekking to Mardi Himal is ideal for any travelers to wish to enjoy the hushed milieu of nature watching over the stunning peaks and amazing landscapes. Not to forget the grand hospitality of the local people who are not still getting used to with tourists like other regular/busy trekking trails of Annapurna. It can be a great experience of local homestay and understand the typical lifestyle of hilly people. This one-week trekking itinerary for Mardi Himal is relatively easy walking trails and can be done with any fitness level which also makes it one of the trekking routes suitable for kids to witness the beauty of culture and nature as a family trip to the Himalayas. 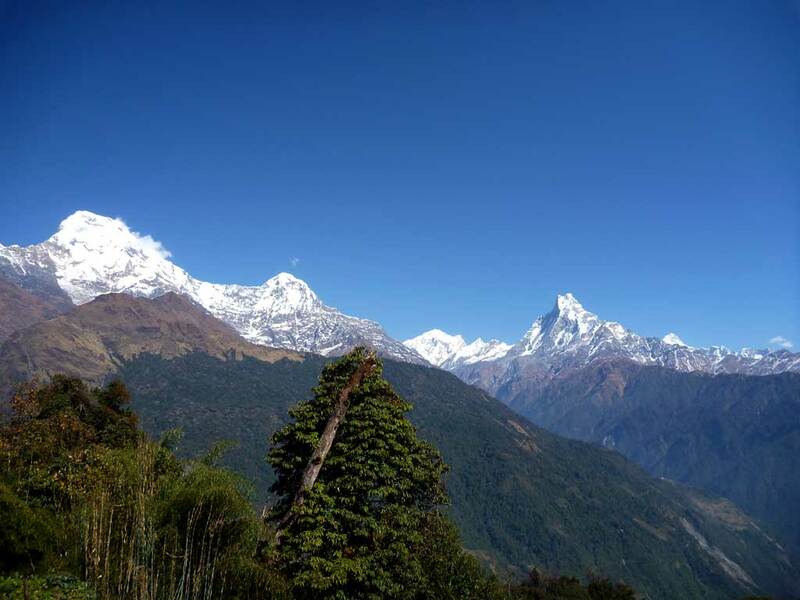 Mardi Himal Trek starts with swift 30-45 minutes drive from Pokhara valley towards Kande and walk pass through Australian Camp towards Pothana village and then overnight at scenic Deurali enjoying a splendid view of Annapurna South (7219m) from the sitting area of the teahouse. The trail continues to ascend and descends through the green jungle with rhododendron fragrance in the fresh air and dense oak & bamboo forest towards Forest Camp and further to High Camp at 3700m. 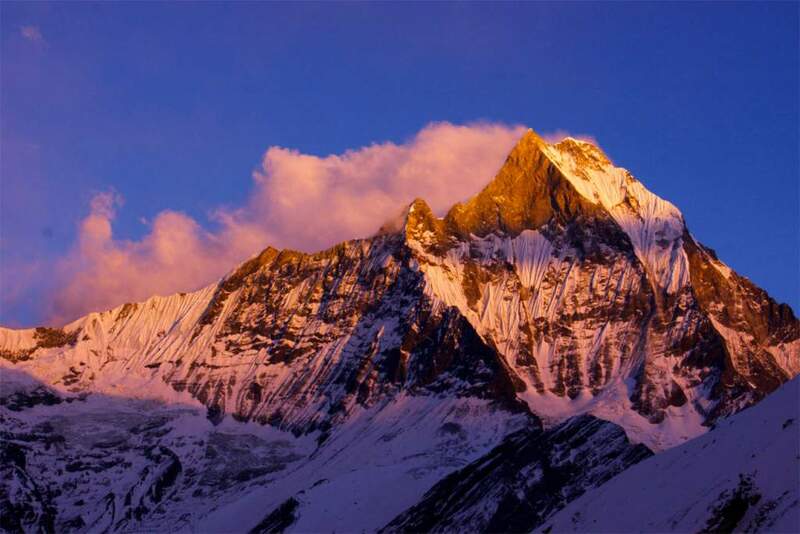 We start day visit to Mardi Himal Base Camp watching Annapurna Base Camp trekking route on the other side of the river and all our effort will be granted with a fabulous view of Mt. Machhapuchere, Mardi Himal, Annapurna South, Hiuchuli and Pokhara Valley. We start our descend to High Camp after spending some time taking rest while feeling the blowing mild air at 4300m/ 14108 ft and continue next day aiming where we started from – the City of Lake – Pokhara Valley.